In London, Imperial College has pioneered a new form of outreach at White City, aimed at inspiring teenagers from disadvantaged, urban backgrounds to experience and interact with science through their own creativity. Over three years, the Maker Challenge Program will offer young people aged 14-18, from one of London’s most disadvantaged urban communities, the opportunity to enhance their soft and practical skills, engaging in a creative, innovative and entrepreneurial program designed to take an idea to working prototype, and potentially beyond – with a 3-year $300,000 grant from the Elsevier Foundation. The Makerspace builds on decades of Imperial’s more traditional STEM outreach, aimed at inspiring students regardless of background to consider STEM subjects at university. The program is based in White City, where ICL is building their new biomedical campus, and is situated in the larger “Invention Rooms” center which also houses ICL’s advanced hackspace and a community engagement space. • Establish an innovative program that gives young people from disadvantaged backgrounds the confidence in their ideas and the skills to turn them into reality. 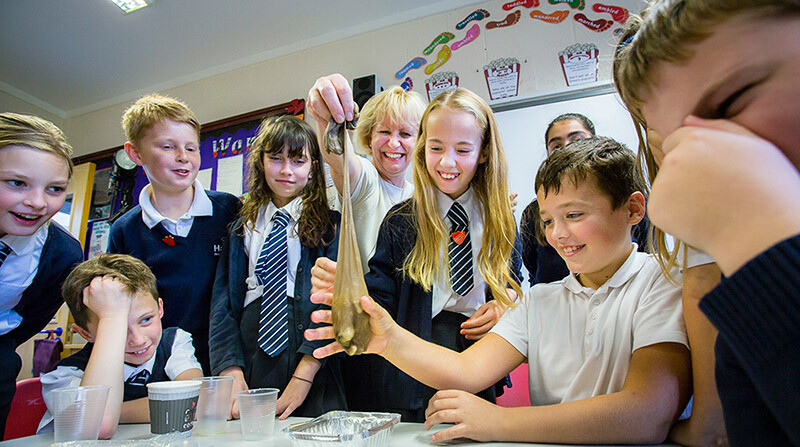 • Support local schools and teachers in raising the aspirations and broadening the horizons of their students in STEM subjects within and beyond the curriculum. • Develop a replicable model of hands-on educational outreach that can be expanded and adapted for other schools and communities. • Inspire the wider local community in the wonder and importance of science, engineering, medicine and business.